IJR Journals a broad-based open access, was founded on two key tenets: To publish the most exciting researches with respect to the subjects of our functional Journals. 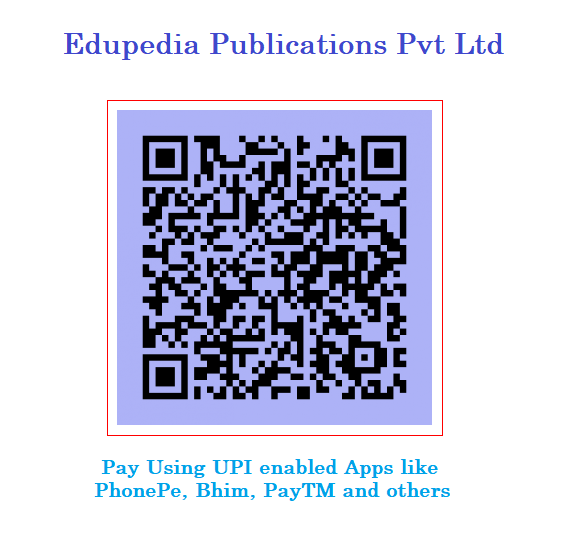 Secondly, to provide a rapid turn-around time possible for reviewing and publishing, and to disseminate the articles freely for teaching and reference purposes. 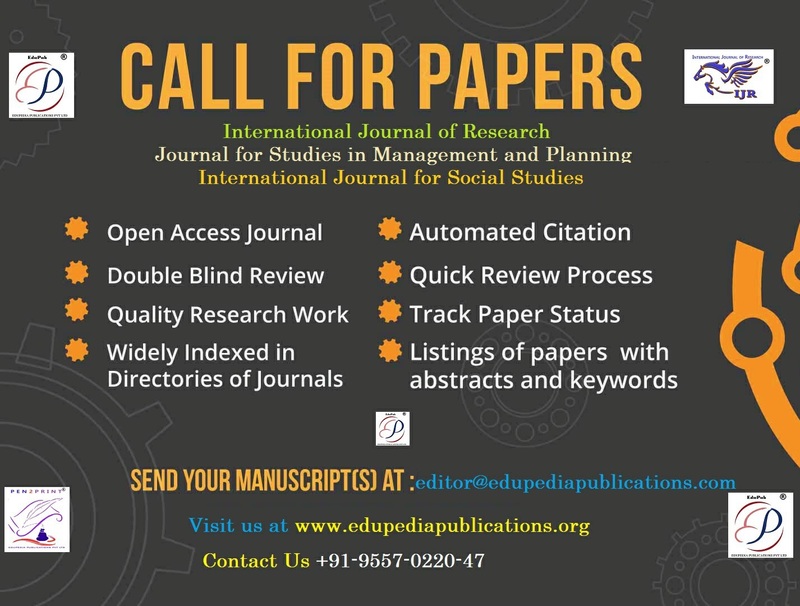 The establishment of this Journal, IJR Journals is an answer to the wishes and desires of many researchers and teachers in developing nations who lack free access to quality materials online. This Journal opts to bring panacea to this problem, and to encourage research development. IJR Journals aims at establishing a publishing house that is open to all. It aims to disseminate knowledge; provide a learned reference in the field; and establish channels of communication between academic and research experts, policy makers and executives in industry, commerce and investment institutions. Our mission is to contribute to the progress and application of scientific discoveries, by providing free access to research information online without financial, legal or technical barriers. All International Research Journals articles will be freely distributed and available from multiple websites. IOSR Journals, breaking new frontiers in the world of journals. Today, the IJR Journals is becoming a major international research journal editors and thesis research. We acquire, develop, market and distribute the knowledge through the dissemination of academics and practitioners from around the world. All journals published by us maintain the highest standards of quality, integrated newsrooms by researchers around the world. At IJR Journals we have a clear set of values for delivering our vision. 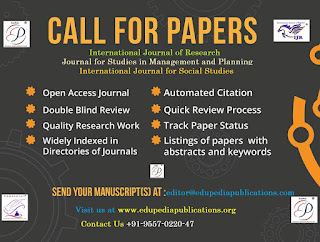 These are: Research Orientation - IJR Journals seeks to publish a balanced mix of high quality theoretical or empirical research articles, case studies, book reviews, tutorials, editorials as well as pedagogical and curricular issues surrounding different domains of Engineering, Management, Pharmacy, Applied Science, Mathematics. Valuing Our Users - IJR Journals gives emphasis to the development and retaining of outstanding people. It empowers people to maximize their potential contribution and encourage them to be entrepreneurial. Quality Control - By implementing the strong quality measures &amp; intellectual property law; IJR Journals is eager to develop the strong coordination with researchers, academics & industrial practitioners. Innovation - Being a high energy, fast moving, decisive organization with a strong tendency for action; IJR Journals is constantly looking for new ideas & suggestions.